EasyJet opens for flight bookings up until June 24th 2018. Now is a great time to book a few Bansko ski trips. As I always say, March and early April are my recommended times to come to Bansko, if you can. Anytime from 4th March 2018 is good until the end of the season. 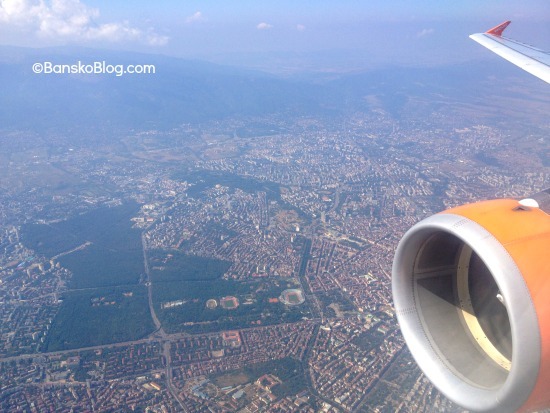 Of course, EasyJet is just one of many airlines flying into Sofia from all over Europe. BA, Bulgaria Air, Ryanair, Wizzair, Lufthansa, German Wings and many others are offering low fares these days. As always, be careful with luggage allowance — including hand luggage. Ryanair have tightened up on cabin bags and all airlines are charging for check-in. This means that I am finding the Bulgaria Air has competitive flights if you have to check in a bag. With early flights you can get to Bansko in time for an afternoon ski on the day you arrive. But bring hand luggage only. We even offer you a first free afternoon ski hire should you decide to quickly get up the mountain. Mix and match (“Hack”) the airlines you use is often the way I book my flights so that I avoid inconvenient times. One airline out and another coming back. We help many people with their holidays here in Bansko… shameless plug warning: click here for your transfers, ski and snowboard hire, lessons and lift passes. Save money and you also receive a free piste map lens cloth (worth (€5). The lens cloth is absolutely free for all clients of bansko blog. No catch — you save by booking here and, as a thank you for supporting the blog, you and all your family and friends receive the cloth for free too. Each one is worth €5 and its a nice little collectable and reminder of your Bansko trip. Useful for glasses, sunglasses and even an emergency hanky. Lens cloth is for all private transfers (transfers have with free wi-fi too), ski and snow board hire, ski lessons and lift pass orders. Exclusive for overs made here on banskoblog.com or Bansko Blog App. You pick your piste map lens cloths at Skimania when you get fitted for your gear. So grab a flight today. Prices usually go up as time progresses to take off date. Then book a hotel — then book your transfers, ski hire, lift passes and start looking forward to the winter season. You may also have an extended ski and city trip taking in the delights of Sofia and Plovdiv and the many excursions in the region. Often Spring temperatures are in the low 20′s to mid 20′s degrees centigrade — which is just right for travelling around. Be sure to stay tuned for more here and in the app. Lots of improvements coming here and lots more content in banskoblog.com and in the Bansko App. Newsletter sign up is recommended and is 100% spam free.